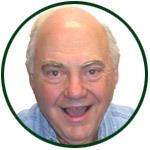 Here Al has upgraded to a 12″ Newtonian. My high school years were spent scheming and cutting classes to spend every opportunity to work on my shop project. No tie racks for me. A 200 lb. 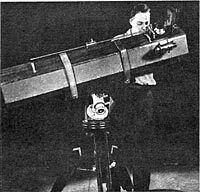 8 inch Newtonian with a wooden hexagonal tube and pipe-fitting equatorial mount was MY dream project. If pedestrians had to get off the sidewalk to avoid my 8-inch behemoth, that was their problem. Nothing gets in the way of a Bronx kid! While I didn’t make many friends this way, I did have some interesting experiences. I showed some teenagers the moon, and after they walked away, I noticed the image was blurry; -I hadn’t noticed when they shot the mirror with a water pistol! Another time, a matronly lady suggested I take the scope to the Catskill Mountains so I could be closer to the stars. Technically true I guess. Expanding my sidewalk venturing to a main shopping street, Tremont Avenue, I set up in front of a Chinese restaurant and was rewarded with egg rolls for showing the employees the moon and Saturn. For solar viewing I used eyepiece projection. I walked away for a moment once until someone yelled there was smoke pouring from the wooden tube. 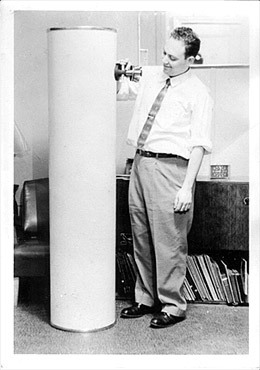 Al Nagler with shop-class scope featured in “Mechanix Illustrated” article for December 1955. Unlike our great contemporary sidewalk astronomy crusaders, John Dobson and Bob Summerfield, I never felt the burning need to do sidewalk astronomy on a regular basis. But getting more people to share and understand our place in the universe is more important than ever, given the anti-science we see in the media from astrology, UFO mania, and creationism. Sidewalk astronomy is fun, educational and uplifting. You can’t recreate the thrill of your first view of Saturn, but sharing another’s thrill comes close. This is a gift kids need. I find a hospitable location for sidewalk astronomy these days is outside my local Barnes and Noble bookstore. You might check with the store manager first. I once had the thrill of showing Hale-Bopp to incredulous customers exiting the store. “Yep. That’s it. You can see it naked eye, just below the streetlamp.” If they don’t care, it’s their loss. You’ll make friends, help the Dark-Sky cause and have an adventure. I’d say it’s a good pick-me-up, if my wife wouldn’t interpret that poorly. There are two experiences I haven’t yet tried but always dreamt about. Maybe you could try. One, get involved with a local charity and offer moon views for a good cause. Two, get a tape recorder and capture a steady stream of ecstatic expressions and joyous expletives as people view Saturn for the first time. It’s even better if you can do it on SATURNday, SUNday, or MOONday. And for those of you who are timid about sidewalk astronomy, don’t take it personally when people ignore you, or try to keep their kids away from “strange people”. There are always enough to have the spark to appreciate what you are offering. For passersby who will inevitably ask, “Why are you doing this?” I found the perfect answer: “BECAUSE YOU’RE HERE!” There will be a long pause. Their next response is likely to make you want to do even more sidewalk astronomy.